Positive press coverage is the most impactful and cost effective way to build brand awareness and sell product. Before we go any further, we need to emphasize how having an overall communications strategy in place is critical before you go about the work of generating press coverage. This strategy document is where you identify audiences that you want to reach, assess the current perception, articulate the desired perception (including challenges in moving to that desired perception) and developing an action plan to get there. Lastly, metrics are needed that measure your progress. If you don't have a communications strategy in place, we can work on that for you. If you already do, let's talk about the next step, generating positive awareness. This can be done through a variety of means, depending on the audience you are trying to reach. It could be social media, community affairs, governmental affairs and media relations. While we have deep expertise in each area, media relations is our bread and butter. But it happens to be the hardest thing for a PR agency to do, getting their client stories into demographically compatible media outlets. There are two critical parts to successful media relations – knowing what makes something newsworthy, and being creative enough to make it newsworthy when it isn’t. Our experience working in the media, plus more than 25 years generating coverage for clients, has resulted in coverage in most top national and international media outlets. But many times the best media outlets for your mission aren't always the list of the usual suspects - it could be that a local publication like Crain's Chicago Business or an industry trade publication might be more impactful than The Wall Street Journal. But large or small, in the US or abroad, we've worked with most of them. And if we haven't, not to worry, we speak their language. 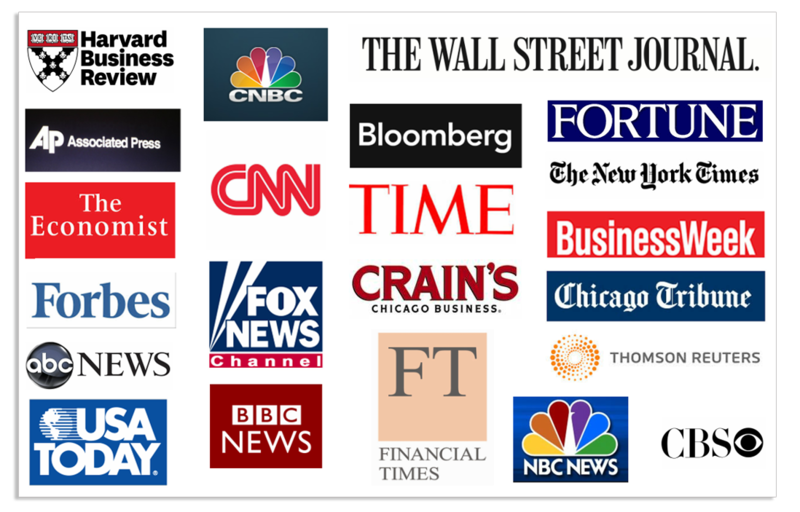 Here's just some the outlets we have worked with to produce coverage: the Associated Press, BBC-TV, Bloomberg TV, Bloomberg, BusinessWeek, CBS This Morning, CNBC, CNN, Dow Jones, Forbes, Fortune, FOX Business, Harvard Business Review, NPR, Nightly Business Report, Parade Magazine, Reuters, CEO Magazine, Reuters TV, The Economist, The Financial Times, The Los Angeles Times, The New York Times, The Today Show, The Wall Street Journal and the Washington Post. Plus foreign coverage in South Africa, Brazil, India, Spain, Australia and China. Are Women the Key to Success? Should there be a Single Bank Regulator? A Single Standard For The World? The Morning Ledger: What's the Sharpest Tool in the Fed's Toolbox? "John Vita demonstrates his expertise in all areas of public relations, He is a result-oriented, PR expert."